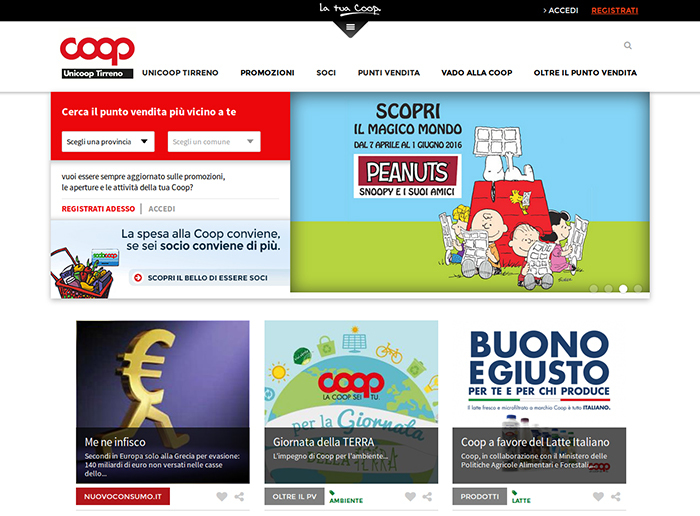 Unicoop Tirreno is one of the main players of Italian Purchasing Consortiums. The Unicooptirreno.it web site has the purpose to convey information both on the commercial offer and the non-profit activities of Unicoop. The web site experience can be customized trough the localization of contents, the choice of themes and offers types, the participation in surveys and the interaction tools. Simplicity has been one of the core principles which oriented the development of the platform. To be noticed is the adoption of masterbooks, which enable to build stories around information and initiatives of the Purchasing Consortium.